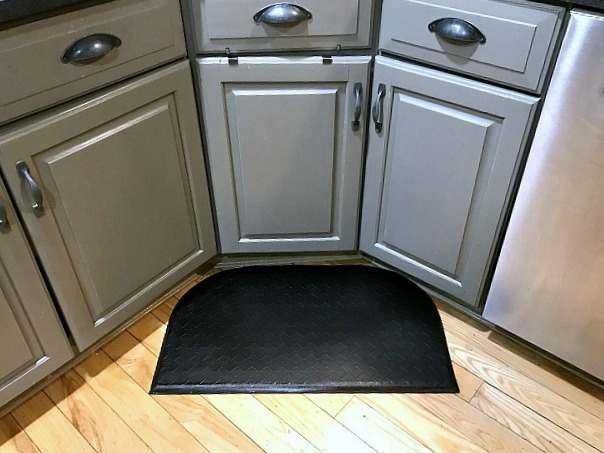 This mat was a disappointment, I had it in my kitchen for about a month before I tossed it into the basement because it looked so bad. 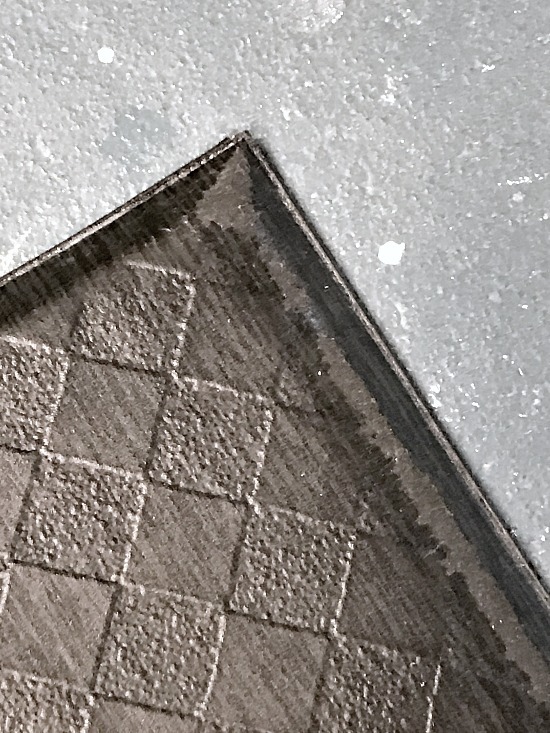 The very thin top layer of the mat had worn away in no time revealing the grey rubber underneath. 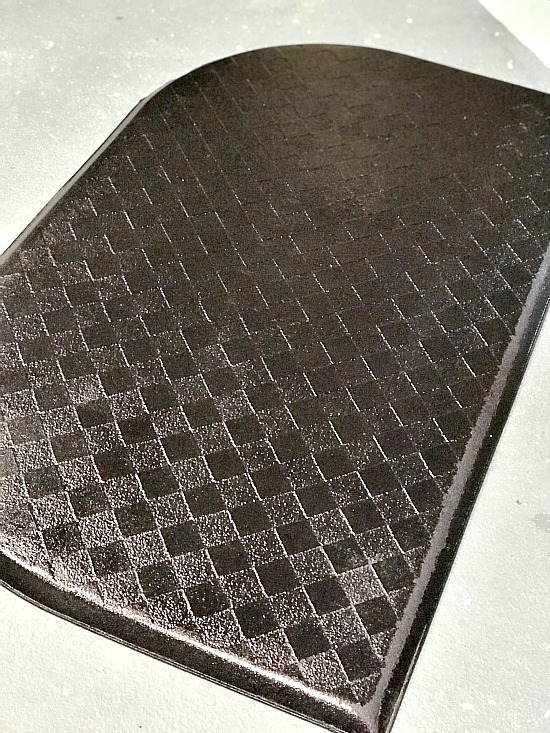 Just having this mat in front of the sink for a month made it worn on the edges. It was in the basement until I decided to try and give it a makeover... nothing to lose right? 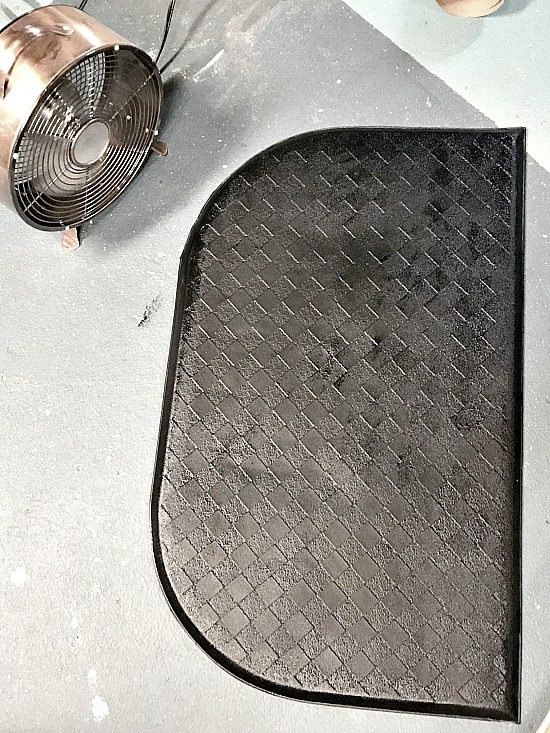 Maybe this mat could be saved after all. If you click on the rust Amazon affiliate links you will be taken to the products, or similar products, I use for this project. There is no additional cost to you and Homeroad receives a few cents to help me bring these projects to you! 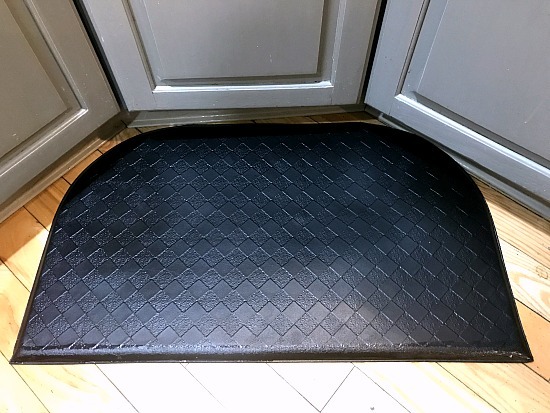 I used Fusion Mineral Paint in Coal Black, to roll out a thin coat onto the mat. 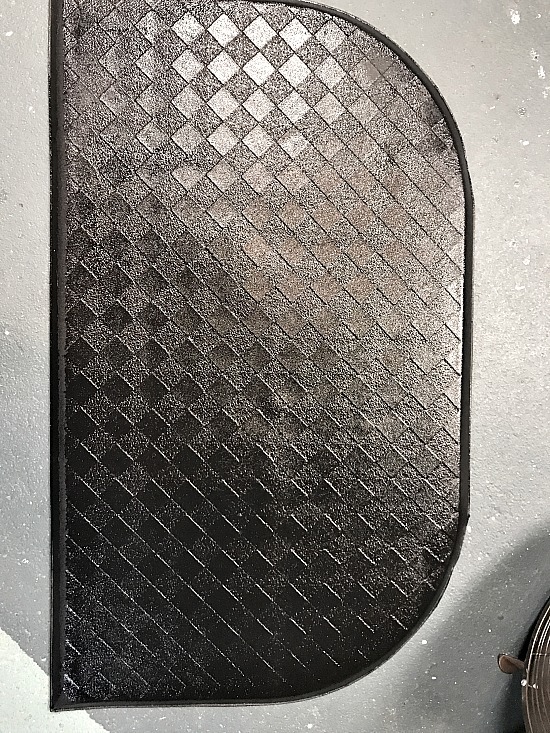 Other than making the mat darker and newer looking, one coat didn't do much for the worn edge. 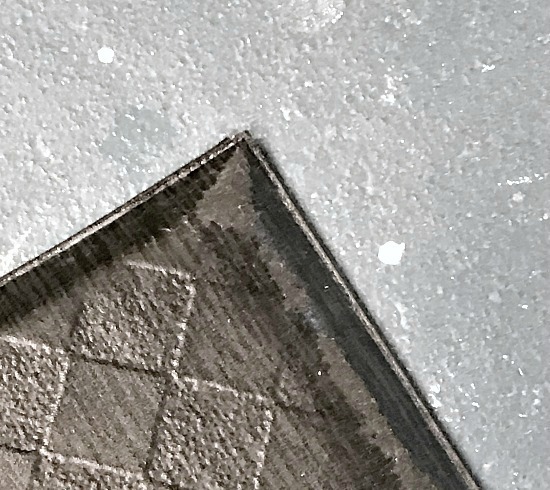 It wasn't until I was on the third coat that the worn edge began to look new again. 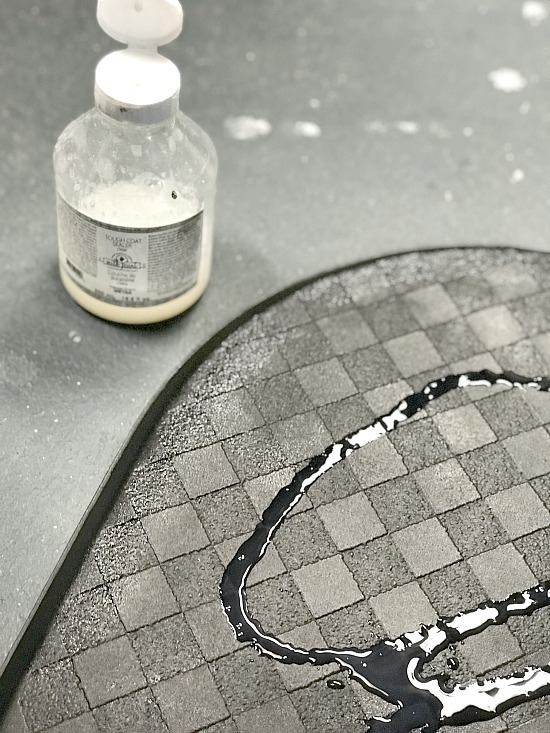 I sealed the final coat of paint with Fusion Mineral Paint Tough Coat, giving special attention and a few extra coats to the worn edge of the mat. 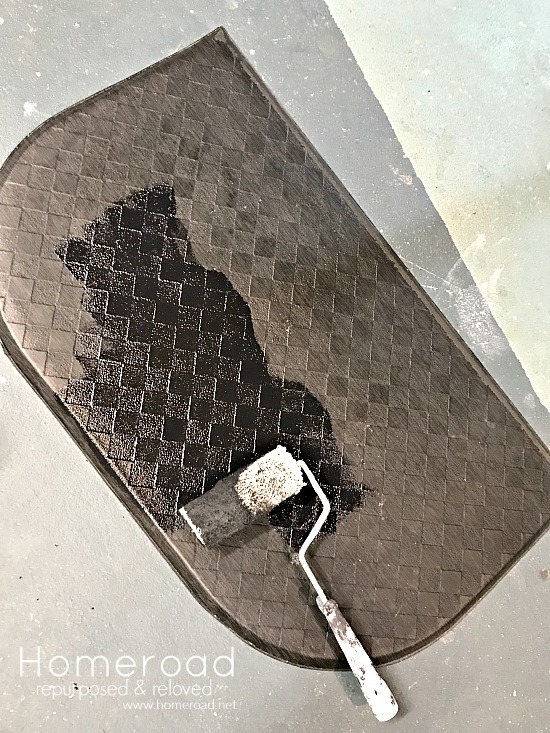 I used a fan to dry the mat between coats and the final sealer. I'm a little impatient that way. Now I'm putting the kitchen mat back in front of my sink for hopefully longer than it was there before. It looks brand new with little effort! This project used just a tiny amount of paint and sealer. They are great to have around for any number of DIY projects and makeovers. What could you update next? it will last a little longer! Looking for more kitchen ideas? Visit Six DIY Kitchen Ideas.